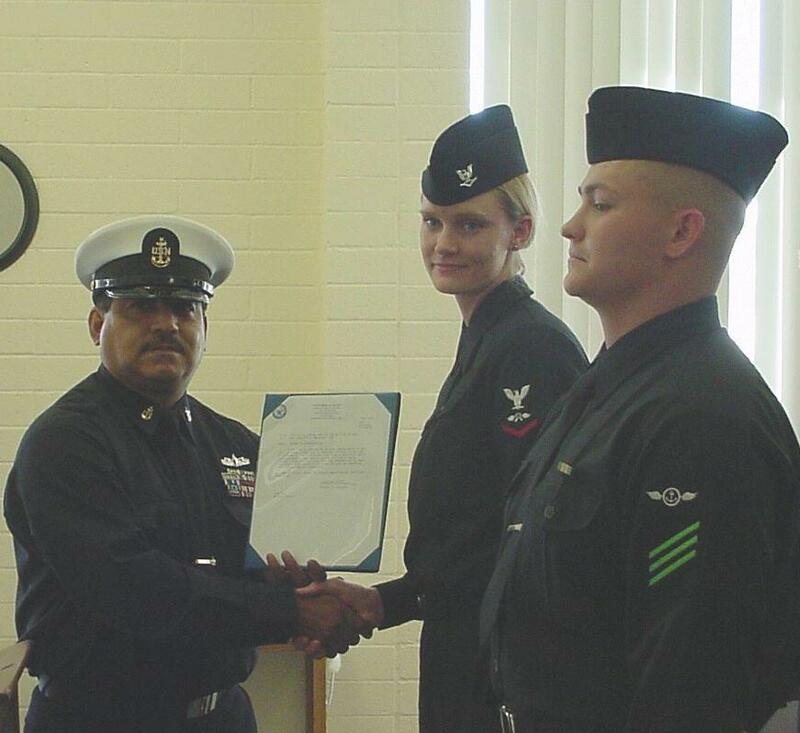 I was fortunate enough to serve this great nation in the United States Navy from the age of 17 to 22, honorably separating as a second class petty officer (E-5). 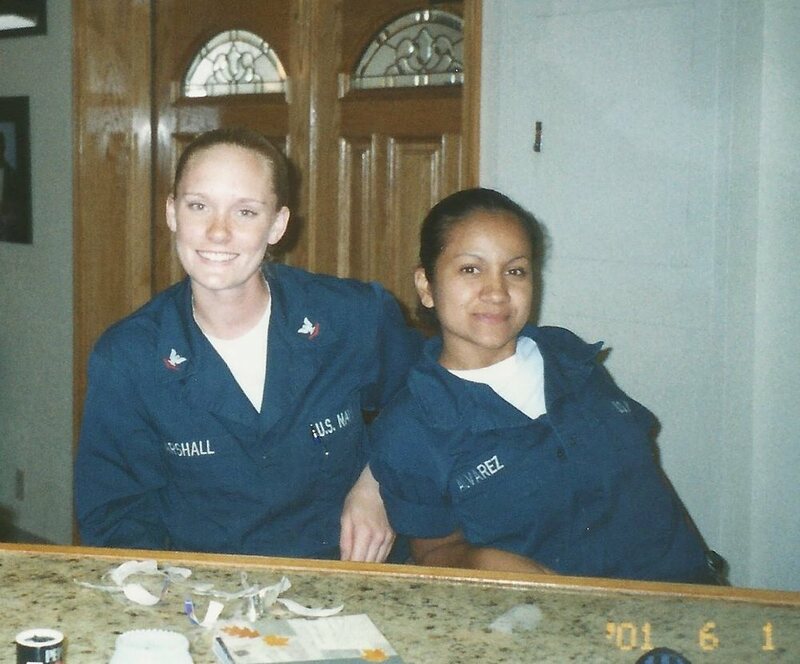 During my time in the Navy, I worked as an aircraft handler, forklift operator, logistics specialist, and also worked on the ships aft repair locker fire team and security defense force. One of my most important collateral duties was working for the USS Theodore Roosevelt’s Sexual Assault Victim Intervention (SAVI) program, teaching policies and procedures to new sailors checking in onboard and being available to advocate for victims of sexual assault. During my time in the military, I earned a Navy/Marine Corps Achievement medal, my Enlisted Aviation Warfare Specialist (EAWS) pin, and was Junior Sailor of the Quarter, among other awards. I was also congressionally honored by Congressman Scott McInnis (R-CO) for my service in the military and volunteer activities. Toward the end of my enlistment, I completed a deployment in support of Operation Iraqi Freedom. I have extensive weapons handling experience and have maintained my military fitness level, two things that have been very beneficial to me as an actor. Many of the traits I learned in the military have served me well in the entertainment world—preparation, always being early, top notch organizational skills and having a tireless work ethic. I've always had a deep longing to help people, and as a mother, I'm exceptionally nosy by nature. When my daughters were younger I was always able to thwart their mischievous plans and track them down--so, when I was accepted to Private Investigation school in 2014 it was exciting to learn about that world. Surveillance, skip tracing, decoy work--all important tools in an investigator's belt. 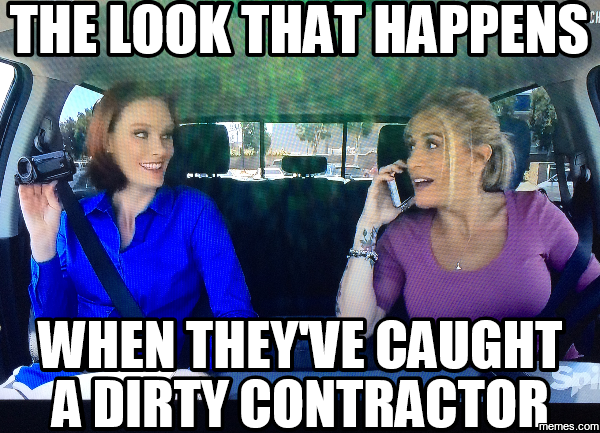 In 2015 I worked on Adam Carolla's show, Catch a Contractor, as an assistant to Alison, the PI on the show. Busting dirty contractors and making them face the damage they caused to homes and families was a worthwhile and fulfilling endeavor. After a three year hiatus to further build our family, I graduated with my master's degree in Administration of Justice with a 3.994 GPA. I've been acquiring the hours needed to open my own firm in 2019--stay tuned! Volunteering is near and dear to my heart. Working in television and film has allowed me the flexibility to spend a lot of time with some of my favorite causes. Here are two: teaching at the Grace Day School and Orphanage in Mukono, Uganda and being an ambassador for the Congressionally-recognized, award winning non-profit, Pin-Ups for Vets. In October 2013 and again October 2014, I traveled to a remote area in Nanga, Uganda in East Africa to teach at Grace Day School and Orphanage. Living and teaching in a village with no electricity or plumbing, I quickly adapted to a very different (but very wonderful!) way of life. I spent my days teaching world history, geography, health/anatomy and arts and crafts to over 150 students while helping care for the 14 boys and girls who live full-time at the orphanage. Of all the subjects I taught, the hands down favorite was arts and crafts. The kids loved coloring, creating dolls, decorating masks and making their creations come to life. For each trip I was fortunate enough, through the incredible generosity of many donors, to raise $1,500-$2,000 to purchase educational supplies and equipment for the orphanage and day school. I returned again in March of 2016, bringing supplies and spending time with the kids. It's safe to say Uganda is a home away from home for me and I'll be returning in 2019! 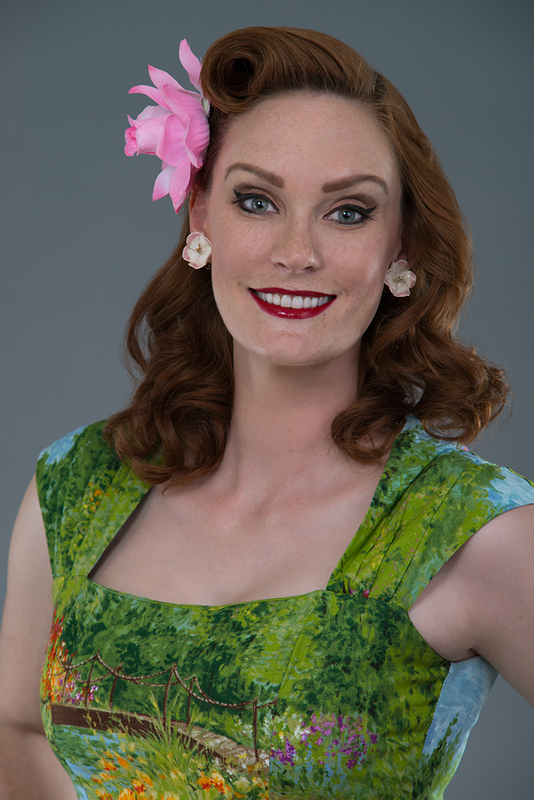 A second cause that is near and dear to my heart is the award winning non-profit, Pin-Ups for Vets. 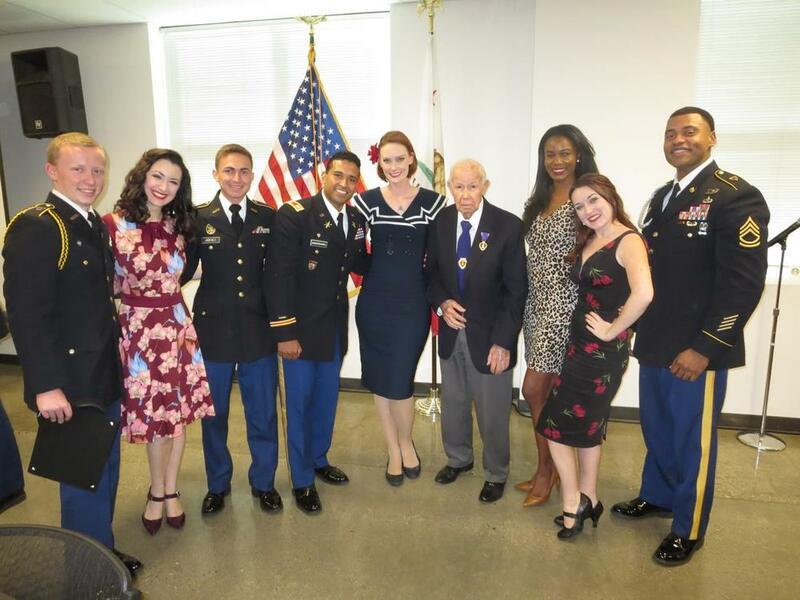 Through fundraisers and the sale of modest and classy pin-up calendars, Pin-ups for Vets has raised over $55,000 to fund our various veteran and troop initiatives. These funds have been allocated to purchase much needed rehab equipment for our veterans, send care packages to our troops overseas, and aided the pin-ups in visiting thousands of veterans at their bedside since 2006. 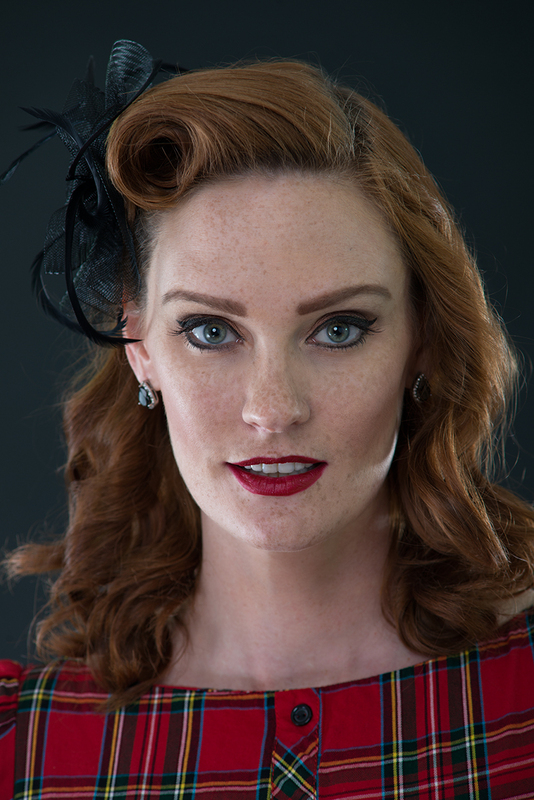 I was immensely proud to be chosen as Miss February 2015 in the Pin-Ups for Vets calendar and have been featured in November from 2016 onwards. 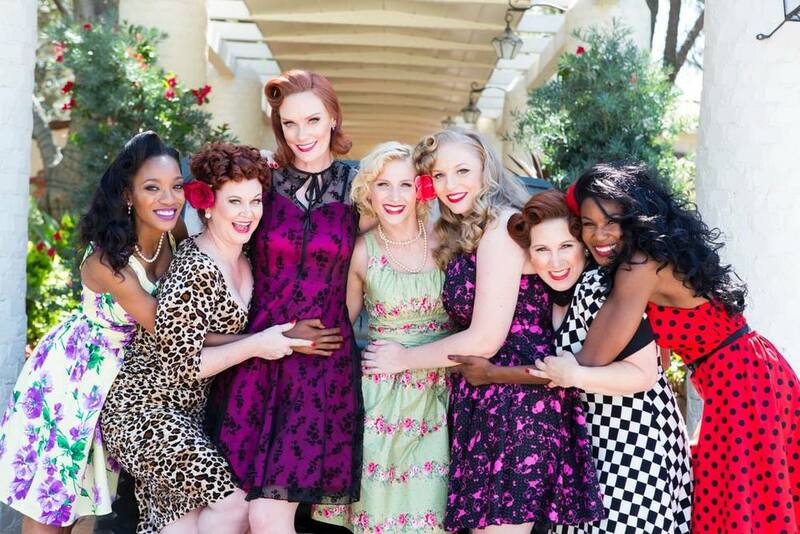 You can help our mission by purchasing a calendar at pinupsforvets.com and if you put a note in the message box, I'd be happy to sign it for you! Since becoming affiliated with the organization in 2014, I personally have visited tens of VA hospitals and nursing homes, attended numerous veteran events, and participated in many fundraisers helping the non-profit raise thousands. Being a veteran myself, I deeply cherish the time I get to spend with my brothers and sisters.